Jorge Rafael Videla was born in Mercedes, Argentina on 2 August 1925. He is the son of an army Coronel. He graduated from the National Military College in 1994 and began what would become a long military career. He worked for the Ministry of Defence from 1950 to 1962 when he became director of the Military College. In 1971 he became General and two years later, Chief of the Army General Staff. In 1975, under the presidency of Isabel Perón, successor of her late husband, he is designated Commander in Chief of the Argentine armed forces. On 24 March 1976, a military junta headed by Jorge Rafael Videla seized power through a military coup. This junta led the country until 10 December 1983. The junta was initially composed of Videla; Naval Commander Admiral, Emilio Eduardo Masseraand; Air Force Commander Sergeant, Ramón Agosti. Videla handed over the presidency of the Junta to General Roberto Eduardo Viola in 1981. During the year of the dictatorship, known later as the “dirty war” period (1976-1983), the Argentinean military resolved to eradicate what the junta called “subversive thoughts”, as well as “terrorists”, namely “anyone who disseminated ideas contrary to Western Christian civilization”. During the course of the following years, the military murdered or forcibly disappeared between 10,000 and 30,000 people. In addition, about 500,000 opponents of the regime were forced into exile to escape repression. Several hundred clandestine detention centres were set up throughout the country, the most ill- renowned being the “Escuela Superior de Mecánica de la Armada” (ESMA) were torture was practiced systematically. In such centres, numerous prisoners were murdered or disappeared. The babies born of women detained were taken away by the military and placed in families with falsified documents. At the same time, since 1976, the junta participated actively in the “Plan Condor”, network of secret services of the military dictatorships of Chile, Argentina, Uruguay, Paraguay and Brazil with the purpose of eliminating the political opponents of the different regimes, exiled in their territories. In 1983, the military regime, weakened by its resounding defeat by the British navy in the Falklands war, gave way to a democratically elected civilian government with Raúl Alfonsin, from the party Unión Cívica Radical, as president. As soon as he became president, Alfonsín set up the National Commission on the Disappeared (CONADEP) which, under the direction of writer Ernesto Sábato, had the task of investigating and shedding light on the forced disappearances committed by the military regime during the previous decade. The CONADEP published a report called “Nunca más” which recognized around 9,000 cases of disappearances, a figure estimated today at more than 15,000. On 22 April 1985, a historical trial opened in Buenos Aires to judge the main actors of the dictatorship. On 22 April 1985, a historical trial opened in Buenos Aires to judge the main actors of the dictatorship. General Jorge Videla and Admiral Emilio Massera were sentenced to life imprisonment for crimes of assassination, illegal confinement and torture. Other leaders of the junta were sentenced to varying terms of imprisonment. In December 1986, yielding to the pressures that resulted from the discontent on the part of the army following these trials, the “Full Stop law” was adopted. This law established a deadline of 60 days to bring forward complaints against the members of the army and of the police suspected of human rights violations. The following year, new unrest by the armed forces led President Alfonsin to go even further by promulgating the law called “Due Obedience” which guaranteed impunity to all of the military personnel with a lower rank than Colonel. In October 1989, President Carlos Menem signed the “indulto”, the forgiveness for the ones in charge of the dictatorship and condemned in 1985, thus Videla was released after only a few years in prison. In March 2001, in a further historical decision, Federal Judge Gabriel Cavallo accepted a complaint filed by the lawyers of an Argentinean / Chilean couple against army officers for human rights violations, deeming the amnesty laws as unconstitutional and therefore invalid. In July 2002, the Federal Court of Appeal confirmed this judgment. The door had once again been prised open to track army officers suspected of human rights violations. In 2001, a Federal Judge accused and ordered the detention of several members of Argentinean, Chilean, Uruguayan and Paraguayan armed forces for their responsibility in the Plan Cóndor. Videla was one of the military accused and remained under house arrest. The political will to end impunity became stronger with the election of a new president Nestor Kirchner on 25th May 2003. 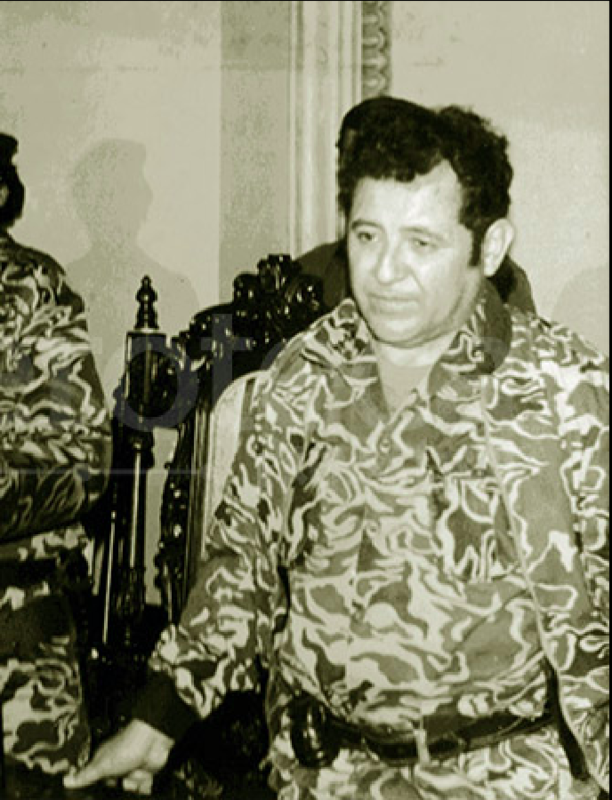 Two months after his accession to power, he quashed a decree, which blocked any possibility of extraditing army officers responsible for the repression during the dictatorship. He also openly supported the invalidation of the amnesty laws. In September 2006, a Federal Judge declared the pardon given to Videla in 1990 by then president Carlos Menem inconstitutional. On April 2007, the Argentinean justice revoked the amnesty awarded to Videla. The Federal Court deemed it “unconstitutional” and decided that Videla and Massera should return to prison to serve their life in prison sentences for crimes against humanity. On 10 October 2008, an Argentinean judge determined that Videla, who remained under house arrest, should be sent to the Campo de Mayo prison. On 2009, the bodies of 40 victims are unearthed in Buenos Aires, Argentina, including those of a German citizen for which a case against Videla is reopened in Germany (see below). On April 2010, the Supreme Court upheld a lower court ruling that the pardons granted to Videla by former president Menem was unconstitutional. This decision opens the door for new charges. Previously, he had only been tried for crimes excluded from the pardon. On May 2010, Videla is charged with an additional 49 counts of murder, kidnapping and torture. These charges are linked to the remains of the 40 victims which were identified in 2009. The trial of Rafael Videla began on 2 July 2010 in a court in Córdoba, Argentina. Around sixty witnesses were heard. Videla was tried, together with 30 co-accused, including General Luciano Benjamín Menendez, for the execution of 32 political prisoners who were detained in the prison unit number one of Córdoba, and for kidnapping and torture perpetrated by the Department of Police Information. Videla remained in the Campo de Mayo prison in Córdoba, where he was serving a life sentence for crimes against humanity. In December 1986, six grandmothers who were members of the organization Abuelas de la Plaza de Mayo (Grandmothers of the Plaza de Mayo) filed a complaint against several retired military leaders to whom they attributed the preparation and execution of a systematic plan to steal the children of those detained. The grandmothers demanded the investigation of the kidnap of around 200 children born to detained or disappeared mothers. In June 1998, federal judge, Roberto Marquevich, issued an arrest warrant against Videla for his responsibility in the abduction of minors, a crime expressly excluded from the amnesty laws and for which he had not been tried in 1985. After spending some time detained, Videla is places under house arrest. The following year, the Federal Court of Appeals rejected Videla’s appeal which argued that such crimes were included in the 1985 trial and as such, had prescribed. The Court’s decision created a precedent by qualifying this offense as a crime against humanity and therefore not subject to prescription. Based on a new constitutional amendment introduced in 1994, the Federal Court of Appeals recognized the primacy of international law over national law, a decision which was later upheld by the Supreme Court. On April 2007, federal judge Guillermo Montenegro determined that General Bignone and other six military commanders would face a public oral judgement after having been accused of executing a plan to appropriate the minors on the mothers detained in the clandestine detention centres. On 28 February 2011, the first trial in the Federal Criminal Tribunal No. 6 in Argentina was initiated against Jorge Videla and Reynaldo Bignone, two former Junta-military officials for the systematic taking, retaining, hiding and changing of identities of minors whose parent died or disappeared during the Argentinean military dictatorship (1976-1983). On 5 July 2012, the Federal Tribunal Nº 6 of Buenos Aires sentenced Videla to 50 years in prison for crimes against humanity and particularly for the implementation of a systematic plan to steal and appropriate 31 minors during last military dictatorship between 1976 an 1983. The Court also sentenced Reynaldo Benito Antonio Bignone to 15 years in prison, Antonio Vañek to 40 years, Jorge Eduardo Acosta to 30 years, Santiago Omar Riveros to 20 years, Víctor Gallo to 15 years, Juan Antonio Azic to 14 years, Jorge Luis Magnacco to 10 years and Inés Susana Colombo to 5 years in prison. On 5 March 2013, the « Plan Condor » trial started in which 25 accused, included Videla, would be judged for crimes against humanity committed during last dictatorship. Videla died on 17 May 2013 before the end of the trial. In 2003, a court in Nuremberg issued a warrant of arrest against Videla and Emilio Massera and in 2004, ordered their extradition for the disappearance of several German citizens during the military dictatorship in Argentina. In 2005, Argentinean Federal Judge, Sergio Torres, rejected the extradition request by Germany deeming it res judicata. As a consequence, the german state attorney in charge suspended proceedings against Videla. However, the case was reopened in December 2009 following the discovery in Argentina of the human remains of Rolf Stawowiok, a German citizen and member of the Student’s Union related to the Montoneros at the time. Videla is suspected of having participated in the murder of Stawowiok. On 22 January 2010 the Nuremberg court issued an international warrant of arrest based on these allegations. Since it was not to be expected, after the rejection of the first request for extradition, that Argentinian authorities would hand Videla over to Germany, the state attorney in charge has suspendended proceedings against him for the time being, although the arrest warrants remain in force. Videla died on 17 May 2013 at the age of 87 in the prison of Marcos Paz in Argentina. 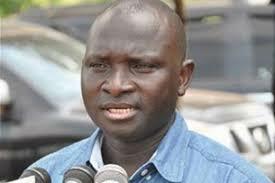 Particulars: Sentenced to life in prison; pardoned in 1989; amnesty revoked in 2007; sentenced on 22 December 2010 to life imprisonment; sentenced to 50 years in prison on 5 July 2012. 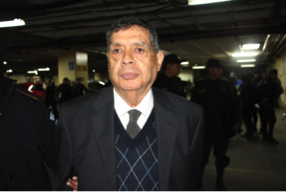 Indicted of crimes against humanity in the « Plan Condor » trial. Died on 17 May 2013.